A consultation has been launched by the West Yorkshire Combined Authority (WYCA) and Bradford Council, concerning the Bradford-Shipley Road “Improvement” Scheme. The Norwoods and surrounding streets as well as Shipley C of E School are right in the middle of it. We are obviously concerned to see the best outcome for residents from this scheme. 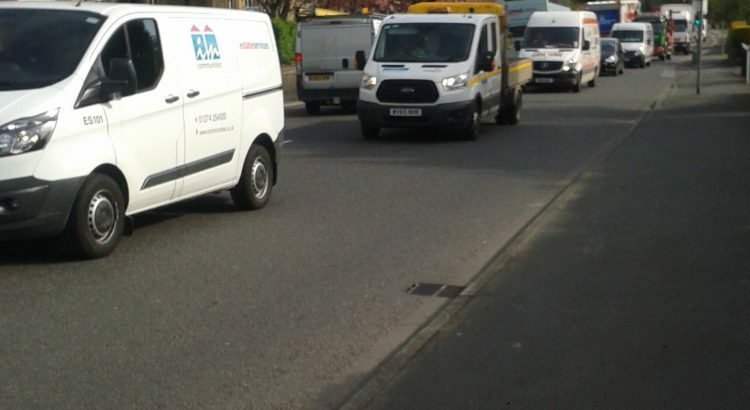 Increased capacity for private motor vehicles and HGVs from out of town seems to be the priority of the Otley Road and Valley Road parts of the scheme rather than the needs and well-being of local residents however. 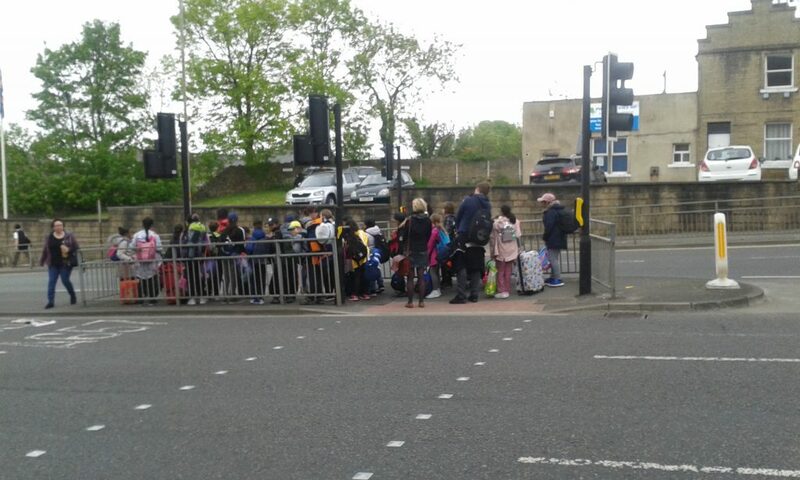 NoX particles, mainly from diesel engines – shown to be particularly harmful to young lungs – are already at illegal levels at the roadside and we approximate this is also the case within the Shipley C of E school’s playground. Improving air quality is being used as a questionable justification for road widening. We’d like to see some of the vast amounts of money to be spent on this scheme to be spent on better and safer streets for residents, and local children who walk to school. The walking environment is not very nice at the former Branch Junction at the moment, and widening this junction won’t be likely to improve that. Otley Road near the train station – is this what a widened road would look like for pedestrians? Road widening isn’t automatically road improvement from residents’ point of view and it may not fix congestion in the longer term either – the old joke being – fixing congestion by widening roads is like tackling obesity with bigger trousers. Past road widening schemes in Bradford have not always led to a good outcome for the communities they have bisected. Nonetheless, you will have your own views (maybe less anxious than us!) As the a Neighbourhood Association we wish to remain balanced and constructive in the way we engage with this process and are keen to talk to neighbours about what they think. It may interest some people that Bradford Council have been ordered by DEFRA to produce an urgent plan to accelerate the reduction in Nitrogen Dioxide (NO2) emissions. Additionally, a new coalition of people and campaigns is just building momentum at the moment. It is called ‘Clean Air Bradford’. Clean Air Bradford has a Facebook page, if you are interested in keeping in touch. Some members of Norwood Neighbourhood Association are involved with this.